Keep calm and cut your wireless service prices. 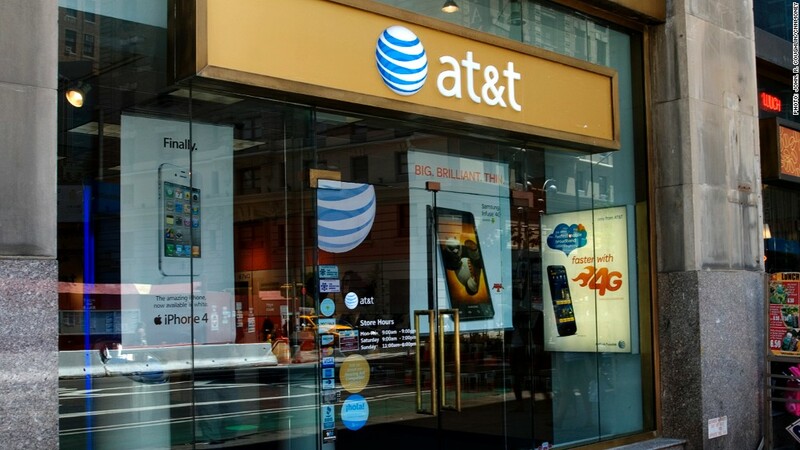 AT&T announces another deal for smartphone customers. Someone call Don King, because the gloves are coming off in the wireless price fight. AT&T (T) has cut the price of its 2GB Mobile Share Value plan by $15 to $65 a month, the carrier announced this weekend. That price is for customers with one phone line using the 4G LTE network and includes 2GB of data, plus unlimited talk and text in the U.S. The deal also includes unlimited international messaging from the U.S. to select countries with no annual service contract, AT&T said. "Mobile Share Value plan customers can bring their own device or purchase a phone at full retail price," AT&T said. AT&T's latest one-two punch was timed just two days after one of its rivals, T-Mobile (TMUS), increased its prices for unlimited 4G LTE access by $10 to $80. T-Mobile's price increase was folded into an announcement it made Friday about new wireless options. T-Mobile also offers free talk and text within the U.S. and to select countries, with no annual contract. And T-Mobile's deal also offers unlimited data use -- a point the company trumpeted in a press release Friday. Data caps are "just this side of extortion," said John Legere, president and CEO of T-Mobile. "It's like getting your data from the neighborhood loan shark and paying 100% interest when the bill comes due. It's the classic shakedown," he said. For its part, AT&T pointed to its cost savings. "We're delivering more savings for customers across the board," said AT&T Mobility chief marketing officer David Christopher, who touted the company's service as "the nation's most reliable 4G LTE network." The fight to win over customers has been intensifying over the past year with AT&T, the No. 2 wireless carrier behind Verizon Wireless (VZ), under direct assault from T-Mobile, the No. 3 carrier. In January, AT&T and T-Mobile introduced dueling offers aimed at poaching each other's customers. 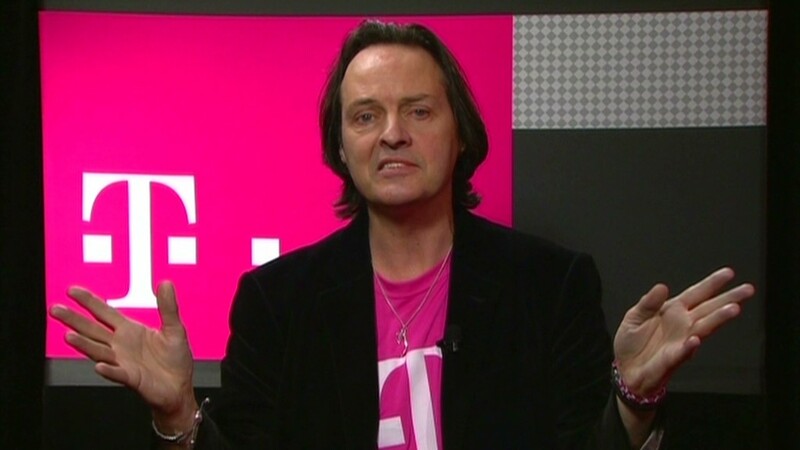 T-Mobile's CEO, a former AT&T exec, even crashed AT&T's party at the big CES electronics conference earlier this year. He got kicked out by security. In February, AT&T announced price cuts for family plans and, in an apparent effort to keep customers from jumping to other carriers, offered discounts to current customers who renew, plus a one-time $100 credit toward their bill for each new line registered with AT&T. T-Mobile added 4.4 million customers in 2013 -- its biggest growth in eight years, bringing its total customer base to nearly 47 million people. CNNMoney's Greg Wallace and Jose Pagliery contributed to this report.